Ever wonder to think about this? Whenever it comes about our identity we just produce our documents which tell about our identity. But, deep down the line, looking back thousands of years from now, the questions remain the same. 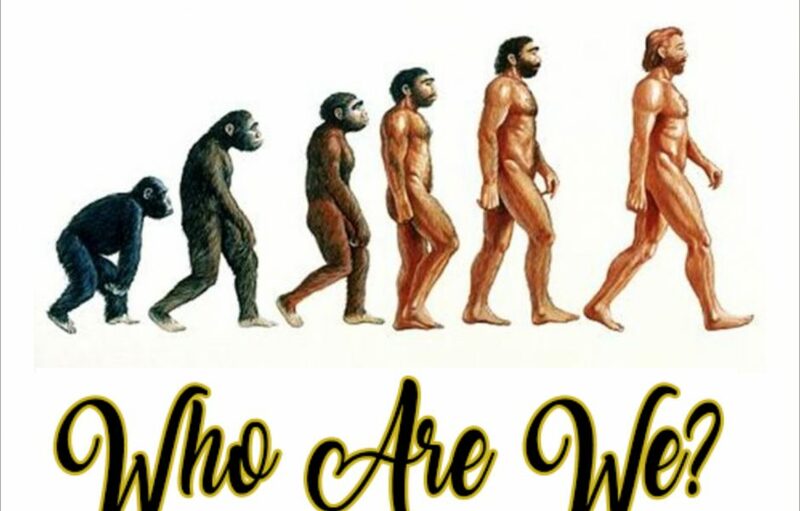 Who are we? Many theories have been put forth to explain this (well, all are just theories!) scientifically also and spiritually also. Let’s speak about Human features first. Compared to other living creatures on Earth, human skin has no fur, thick layer of hairy coat or feathers, etc. why is this so? Why do we need to wear clothes to protect our skin while other creatures on Earth don’t need it? Why are Humans so susceptible even to the smallest change to temperature, heat, air quality, bacteria, etc? Why do humans need to create and depend on gadgets and machines so much? Why humans have no special physical features to protect themselves from other creatures? Why do humans need walk on two legs to make two hands free for doing various activities and stand upright? While no other creature on earth needs hands to survive! Is it just mutation that we evolved from Monkeys? (as we have a common theory that all dinosaurs survived after meteor strike, are transformed into birds!) by the same logic, why all monkeys not transformed into humans? Even monkeys have their skin protected with a thick layer of hairs? Why in the process of evolution we sacrificed this feature? Human body is too week to protect against all such things and humans need to depend on his brain. Ever wonder why is this so? Isn’t it strange that only humans can use their brain to such an extent where other creatures can’t? Why is nature so unfair with other creatures to left them to survive on the mercy of humans? Why humans always trying to control the nature as per the need while others just following the nature? If we remove humans from Earth, it does not create any problem to Earths’ ecosystem or climate, in fact, Earth will become more beautiful and healthier for other creatures! Since ancient times we have been taught that we are created by Gods. Are they really Gods? Or just our creators? Maybe we are just a part of an experiment on earth (?) Maybe we are created by same species like us, living far from this planet, and as a part of the study they send us on Earth? To see, how we survive, how we multiply, how we develop our society, up to what extent we become dangerous to other living things and how we destroy the surrounding for our benefit, and at the climax how we extinguish ourselves! In ancient days, our creators were visiting us to give us a basic knowledge of science and other necessary things which helps us to survive on this planet and improve technologically. I think, that our every move has been watched very closely. They will never interfere in our world, they are just observing and keeping records. We are a very small part of this study. we are surrounded by trillions of galaxies, with different laws that we can’t even imagine! There are many such experiments going on simultaneously on other planets in different galaxies. We know all laws of physics, dynamics and time which exist on this planet and probably related to this galaxy only!